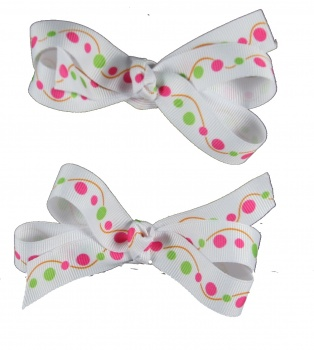 These are two cute matching white bows that have dark pink and lime green big polka dots and swirls all over this bow. They are matching so they are just ready to go for your piggytails or for both sides of the face. Each bow has it's own alligator clip.